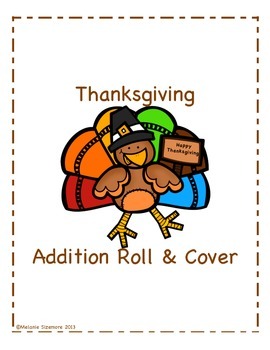 Thanksgiving Addition Roll and Cover is a fun addition activity. 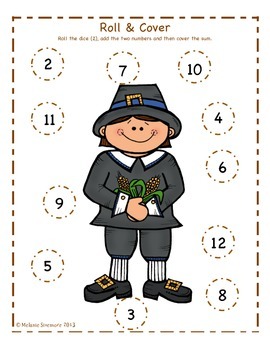 It can be used as a math center. You can differentiate the difficulty by using dice with dots or dice with numbers. 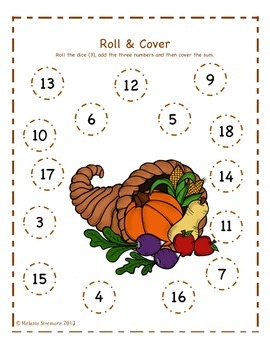 If using this at the beginning of the year with first graders you will need to use dice with dots so they can count and do lots of modeling using a document camera. 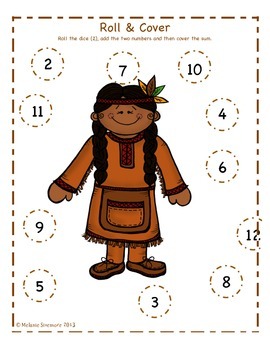 If not this will be difficult for new first graders.